My friend thought this idea was funny that I have. Supposedly one of the benefits of meditation is it evens out the right and left brain use. Supposedly we're too left brain here in the west. We think too much, we haven't integrated ourselves enough. Things switch in the body so. If you have a cold and you're breathing out of your right nostril you're thinking with the left side of your brain. It's only when you have a cold that you really notice a nostril dominance. So if you ever notice that you're breathing out of your left nostril, that's a good sign that you're balancing out your hemispheres. 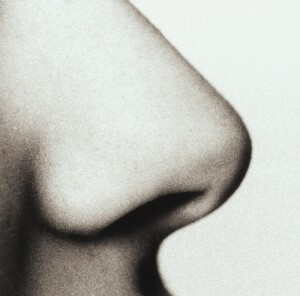 I think one thing that was funny to my friends was that I hold this nostril theory is almost obvious. I'm not sure why it's funny except "nostril theory" is a kind of funny name for it.